FilmMagic for YouTubeYouTube’s annual ‘BrandCast’ event is where the video platform shows off its latest products, stats, and stars to an audience of advertisers. Google has released more research that claims YouTube is bigger than TV in a bid to steal advertising dollars. 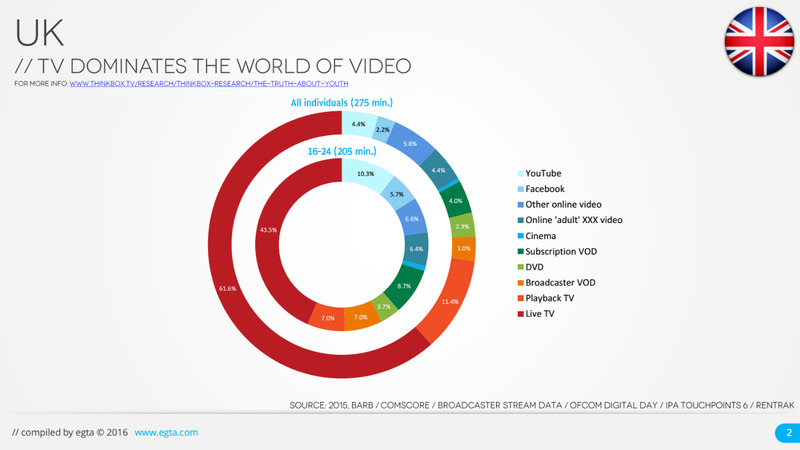 The latest study, due to be published later on Thursday, combines data from online measurement firm comScore and BARB, the UK TV ratings company, and says YouTube reaches more 18-to-34-year-old Brits on mobile alone than any commercial TV channel. This claim was based on “monthly averages” in the first quarter or 2016. YouTube, in partnership with research company YouGov, also surveyed 16-to-34-year-olds in the UK about their viewing habits. If made to choose, 41% of those surveyed would pick YouTube over TV, video subscription services, or streaming sites, the survey found. Just 27% chose TV, according to the online survey of 2,000 people, conducted in May. Other findings include 58% agreeing they’re more likely to find the content on things they’re passionate about on YouTube than TV and just 21% of respondents saying they watch programs in the traditional, linear way — live, as they’re broadcast. Survey responses don’t necessarily represent actual behaviour. However, one media buyer is already convinced. Meanwhile, the research also showed there are more than 190 YouTube channels from the UK with more than 1 million subscribers, up 50% year-on-year. The latest research follows the release of another study Google commissioned in April that suggested YouTube delivers a higher return on investment than TV advertising the majority of the time. 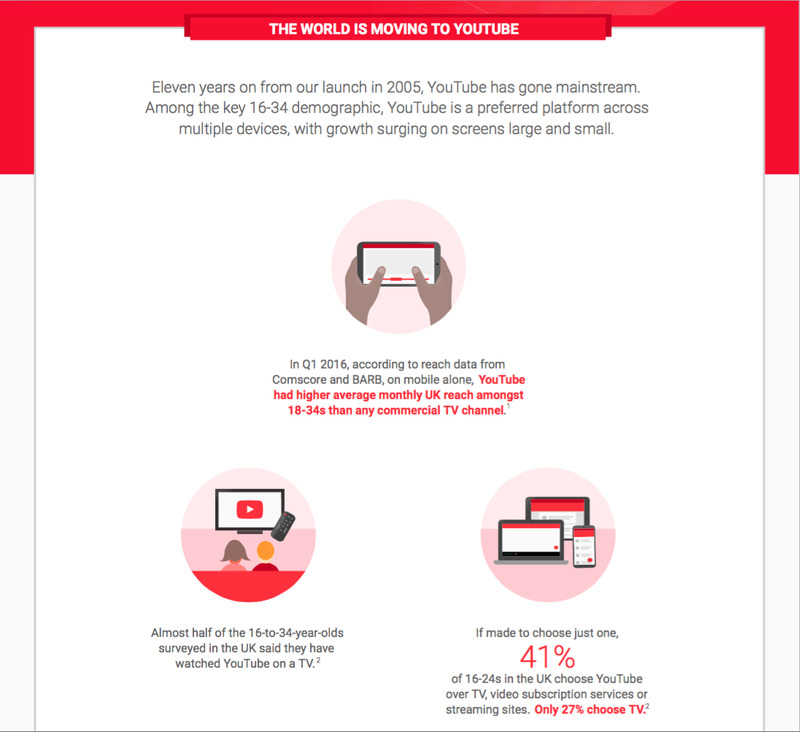 Last October, Google told advertisers they should be shifting 24% of their TV budgets to YouTube if they want to reach young audiences. Speaking to Business Insider, Google’s EMEA director of brand solutions Debbie Weinstein (who previously told us in April the release of such studies isn’t “a war” but instead about giving marketers guidance as to where they should allocate their budgets) said she hopes the latest research tells a “robust” story about the scale and quality of YouTube as an ad platform. “One thing that’s interesting is that people are getting that we had a lot of scale and reach and this further backs up this articulation that we are big, we matter to the video marketplace, and we are democratizing access to video,” Weinstein said. “What’s premium in today’s world looks different to what it did in the past. 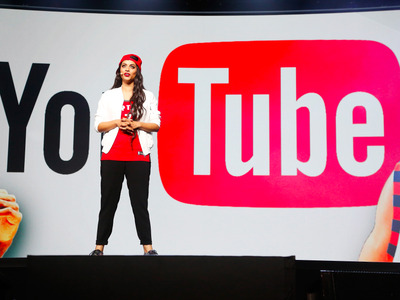 One reason YouTube is growing so quickly is that all people can find what they need when they are looking for it,” she added.